"I'm passionate about carpentry and woodworking. I find the work enjoyable, and the finished result satisfying. I strive to keep things uncomplicated. That's why I see each job through to completion before starting the next one". A small western red cedar awning over a side entrance. The design was curved to mimic the arched brick above the door. This mid-century modern sideboard for storing vinyl records is made of solid black walnut and cherry woods with seamless push-open, soft-closing drawers. 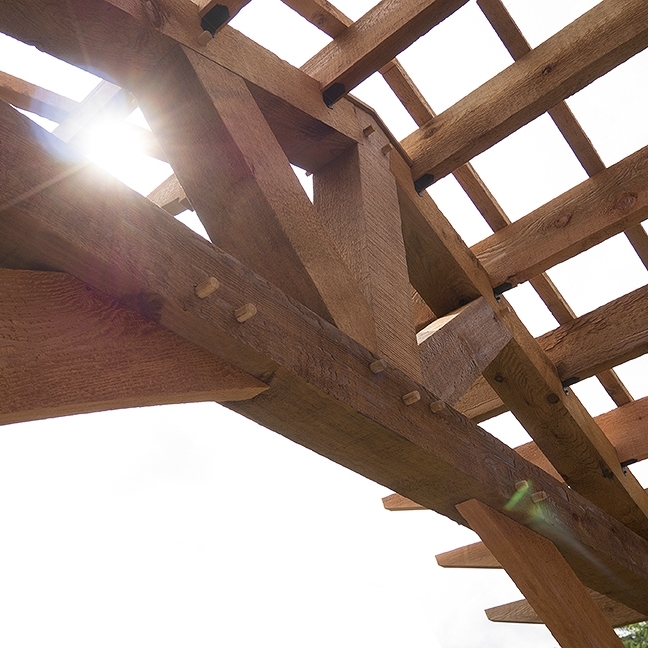 Western Red cedar in it's rough sawn texture is used for this pergola. The forward support gable uses the classic "King Post" timber frame truss design.